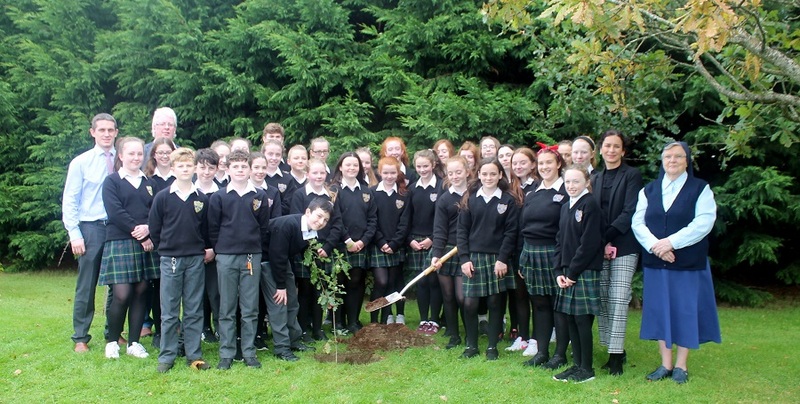 A representative group of 1st years planted a tree to mark the beginning of their secondary education in HRC. The tree was planted on behalf of all students in first year. The first years are pictured with Mr. Crehan, Mr. Tierney, Ms. Vesey and Sr. Assumpta.